Kapamilya hunk Gerald Anderson is described by StarStudio magazine as braver, bolder and real man on its June 2013 issue. 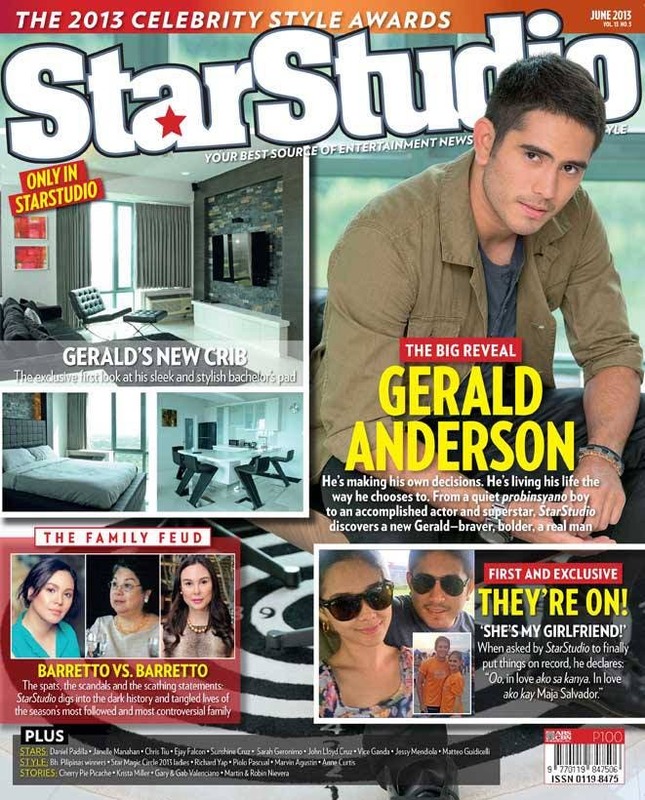 StarStudio puts the spotlight on Gerald Anderson in their June issue featuring revelations from the young actor about himself and his love life. The magazine also features an exclusive first-look at his sleek and stylish bachelor’s pad. Also featured in this issue are the spats and scandals that brought about by the Barretto family feud.